To get Security System or not to get a Security System? Should you get a security system now? First things first, let’s think about the biggest question we ask our selves when it comes to purchasing a security system and installing them. Is a business or home security system worth it? This is the biggest question we ask ourselves and is great to consider when it comes to your family or business needs and budget. Is it a good idea to install a Security System for your home and/or business? It is always a great idea to keep your business or home safe at all costs. Security systems not only keep burglars at bay, but they also send alerts to both you and the monitoring company that there is an emergency. They would then, in turn, dispatch local law enforcement to your property. While the majority of home and business owners are installing security systems, you may want to decide if it is something you need based on the needs of your business or family. Though you would appreciate the sense of calm that would come with the installation of a security system. You can also assure that your property would be safe too. How Security systems protect your home or business. Remotely monitoring pets, elderly parents, children and employees at home or their business. Deterring a burglary before it occurs hence preventing crime from happening at their businesses or property. Getting alerted whenever someone visits their property. Securing their gun, safes, and medicines. 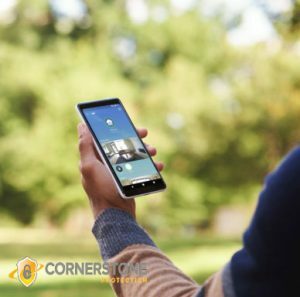 With an enhanced security system, you can turn your home or business into a smart home or smart business. With an alert always being sent to you when a child arrives home or when someone is accessing certain areas in your home or business that are sensitive. Having the capability to adjust the thermostat or even turn the lights on or off. You can receive alerts in the form of video clips or text alerts, informing you of what is happening while you are away. These are just a few ways your business or home can become more automated. There is a little more comfort in knowing that your property is safe and secure while you are away or there. From wherever you are, an effective security system keeps you aware of what is going on while you are out. Having an enhanced security system installed in your home or business prompts a majority of providers of home or business insurance to offer you a discount. This means that you get to save some money while getting peace of mind knowing your home or business are safe and secure. The options and key features of a comprehensive wireless Security system. Diversity- Weather resistant, outdoor, Indoor, night vision, HD camera, and infrared. Remote viewing and easy access- the system’s app are comprehensive with simple features of video sharing and search options for easy access. Protection that is tamper-resistant. The systems send alarms for different notifications such as intrusion detection, power failure or even network disconnect notifications. High-definition and colored cameras for a superior quality of viewing. The footage from security cameras can also help business owners manage their employees and their entire operations. Video footage can help in settling disputes among staff or help in identifying potential issues of fraud or theft. Stream and see videos of your home or business no matter where you are around the globe. View recorded videos whenever you feel like it. At a very pocket-friendly cost, you can get a professionally monitored security system that is monitored 24/7 by a monitoring center. If you want a security system because you are a victim of a crime such as theft, home or business burglary, or maybe you just want to check up on your elderly parents or your children at home. Then a security system is what you’ve been looking for!